Why Choose Illinois for Online Higher Education? Illinois recognizes that its rapidly changing economy requires a highly skilled and well-educated workforce. By 2020, 70% of all jobs in Illinois will require a postsecondary degree. A recent study of national trends by Georgetown University projects a 17% employment growth rate for the state, with the highest increases in managerial and professional services, STEM, community services, education, and healthcare industries. The Illinois Public Agenda for College and Career Success presents the state’s response to the challenge of matching educational attainment to workplace needs. This strategic plan removes obstacles Illinois residents face in earning college degrees, encouraging in-state students to enroll in online programs and attracting out-of-state distance learners. This guide provides a ranking of the state’s most affordable online colleges and useful resources for choosing online programs. Illinois’ colleges and universities increased their efforts to deliver online programs to a diverse group of undergraduate, graduate, and international students. Schools across the state began to address the needs of the demographic groups most interested in studying exclusively online. These potential degree seekers include working professionals or parents whose responsibilities keep them from attending on-campus programs, workers in declining industries or facing layoffs, and students from underrepresented groups attracted to the accessibility of online programs. Most Illinois schools charge higher tuition to out-of-state students. Students living outside the state sometimes establish residency in Illinois to qualify for less expensive in-state rates. Illinois grants residency status to students living in the state for 12 consecutive months prior to the start of the academic year. Each school determines it own online pricing policy. Some schools charge in-state residents less than out-of-state students, while others offer all students the same tuition. Illinois participates in reciprocity agreements that offer discounted online tuition to students applying from nearby Midwestern states. The National Center for Education Statistics reports that Illinois charges higher tuition rates than most other states, including for both public and private four-year institutions and two-year community colleges. Tuition costs vary by school, but students generally pay less per credit for online courses. Some schools offer a tiered tuition option, giving students a tuition reduction for enrolling in more credits per term. Online schools may also include a laptop and instructional materials in their tuition package. Online programs in Illinois attract increasing numbers of undergraduate and graduate students from other states. Many non-resident students take advantage of reciprocity agreements or “friendly neighbor” discounts that reduce tuition or offer in-state rates. Illinois participates in an interstate compact that allows students residing in several Midwestern states to pay in-state tuition rates at participating schools. Additionally, some schools established their own “good neighbor” programs offering tuition reductions for students in neighboring states. Illinois broadened access to affordable online programs through its participation in the Midwestern Higher Education Compact (MHEC). This regional interstate compact includes over 100 schools in Illinois, Indiana, Kansas, Michigan, Minnesota, Missouri, Nebraska, North Dakota, Ohio, and Wisconsin. Administered through MHEC’s Midwest Student Exchange Program (MSEP), this tuition reciprocity agreement enables non-resident students to enroll in online programs in Illinois schools at reduced rates. Illinois students taking online courses outside the state also benefit from tuition discounts. Public institutions agree to charge eligible students no more than 150% of the in-state tuition rate. Private colleges provide a 10% tuition reduction. Students participating in this program typically save between $500 and $5,000 each year in tuition costs. The National Council for State Authorization Reciprocity Agreements (NC-SARA) works with MHEC and other interstate regional compacts to administer reciprocity agreements and oversee distance learning programs for member states. The Illinois Board of Higher Education, the authorizing agency for higher education in the state, serves as the portal agency for Illinois colleges and universities seeking SARA approval for online degrees. The Illinois Community College Board approves SARA applications for two-year schools. Students considering online schools possess different needs; while some look for a specific degree or accelerated path to graduation, others place priority on affordability. Our rankings evaluate a number of metrics, including pricing, types of online programs, graduation rates, and availability of financial aid, to help students find a quality program that fits their academic and financial needs. You should use this list to compare how each school ranks on the criteria most important to you. 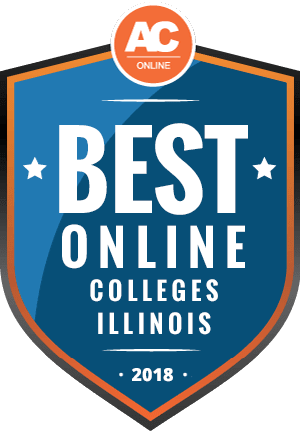 Because students have different priorities when it comes to what makes for the perfect college experience, lists that claim to highlight the best accredited online colleges in Illinois may sometimes not feel attuned to student needs. One student may prioritize academic rigor, while another may only be interested in learning about the best affordable online colleges in Illinois. The following list of schools allows student to dig into a range of specific data points and explore factors used to rate schools, thereby giving them the tools needed to decide for themselves which school is truly the best for their future goals. Take a look at the list below and see how it stacks up against your needs. The University of Illinois at Springfield is home to 4,956 students, more than half of them undergraduates. Offering 1,681 online majors, UIS has been ranked among the Midwest's top 15 public regional universities for the past 11 years by U.S. News & World Report. Not to mention, UIS receives $7 million annually in funding for research. Although the most popular undergraduate majors are accountancy, computer science, business administration, psychology, biology and criminal justice, students can choose online undergraduate degrees from 13 fields. Master's students are afforded the same luxury, with another 13 online degrees offered at the graduate level. For students seeking flexible, online certificates for their careers, UIS has a 10 certification/licensure programs as well as 15 graduate certificates. Though the list of online majors is immense, prospective UIS students need not to worry about getting lost among their fellow students; UIS keeps their classes small, averaging a student-to-professor ratio of 15:1. Greenville University, formerly Greenville College, was founded by the Free Methodist Church in 1892 and offers a transformative Christ-centered education for its 1,200 students. Students needing a more flexible schedule can rest easy because more than 50 of Greenville University's undergraduate and graduate programs offer courses online. Wholly online degree programs include studies in business management, criminal justice administration, health psychology, organizational leadership and education. The Donald N. and Kathleen G. Bastian School of Theology, Philosophy, and Ministry focuses its programs on strong pastoral training. Approximately 96 percent of Greenville students receive financial aid through merit scholarships, awards, grants, low-interest student loans and work-study programs. For incoming students with a minimum high school GPA of 3.0 who are hoping to fast-track their education, the university also offers a three-year degree program that speeds up the time to graduate. Located 40 miles from Chicago, Aurora University serves 5,600 degree-bound students through its onsite campuses in Illinois and Wisconsin and online. AU hosts 40 undergraduate majors in business, arts, science, education, criminal justice, social work and nursing. Students can also earn graduate degrees, endorsements and certificates in the same academic fields of study. AU Online offers distance students eight bachelor-degree programs, five master's degrees and an online professional endorsement in Bilingual/ESL education. Popular online majors are in emerging fields such as cybersecurity, homeland security and non-profit leadership studies. Those already working in their field can take advantage of AU's online courses as well, like nurses, who can pursue an online RM-to-BSN degree to advance in their healthcare profession. Online AU students can also take pride in knowing they are learning from some of the best, with over 85 percent of the online faculty having obtained the highest degree in their major fields. Southern Illinois University-Carbondale is the premier down-state Illinois university, serving 14,000 full-time students. In 2017, it graduated 292 students in agricultural sciences, 893 in the applied arts and sciences, 381 students in business, 938 in education and human services, 457 in engineering and 765 in the liberal arts. SIU offers online degree and certificate programs though the Extended Campus, and students can choose from 13 bachelor's degrees and 10 master's programs. There is also an online degree-completion program for students who previously completed coursework but haven't satisfied the total requirements for graduation. Online students have the opportunity to complete the university's core curriculum, taking required courses in foundation, disciplinary and integrative studies. Popular online bachelor's majors include accounting, business administration, electrical engineering, journalism and public safety management. National Louis University was founded over 130 years ago with the goal of providing Illinois students with a progressive education that today offers more than 60 college degree programs through its two colleges. NLU's National College of Education has been regarded as a “teacher of teachers” because the college was the first in Illinois to offer a four-year teaching degree. Currently, NLU enrolls 8,000 students at six locations in Florida and Illinois, at its global business school located in Nowy Sacz, Poland, and online. Off-campus undergraduate and graduate students can complete online bachelor's, master's and doctoral programs through NLU's College of Professional Studies and Advancement and through the National College of Education. The School of Business and Management provides online MBA programs as well as a blended business management program that combines web learning with campus sessions at campuses in Illinois and Florida. Founded in Lincoln in 1944 as a Bible institute, Lincoln Christian University's motto claims, “Our students come to LCU for a major. They leave on a Mission.” During the 2016-2017 school year, 325 undergraduate students performed over 10,300 hours of ministry-based service learning. Lincoln's students have also received more than $10 million in financial aid to pursue their academic and spiritual calling. And, class sizes are kept low, with a 14:1 student-to-faculty ratio. Students unable to take classes onsite can take advantage of the seven online degree programs, ranging from the associate to the master's level. Students can also opt for taking two-thirds of all coursework online and completing their semesters at week-long intensives in Lincoln. Online students can complete online courses leading to an Associates in the Bible, a Bachelor's in Business Administration, in Christian Ministry and in Psychology, and a Master's in Bible and Theology, in Intercultural Studies and in Organizational Leadership. Located 140 miles south of Chicago, the University of Illinois at Urbana-Champaign is the flagship of the University of Illinois system and aims to be the leading public research institution. Founded in 1867 as one of the original land-grant institutions, this educational powerhouse has graduated winners of 28 Pulitzer Prizes, invented the first graphical web browser, and is currently ranked 14th in the nation among public universities by U.S. News & World Report. The accolades don't stop there; U.S. News & World Report has also ranked UI's College of Education in the top 10 best online graduate education programs. An internet pioneer, the university has now developed an immense system of online classes and degrees, allowing students from outside the Urbana-Champaign campus to receive the same high-caliber education from the faculty who teach on campus. There are more than 75 online degree, endorsement and certificate programs at UI, over 800 online courses, and over 2.7 million learners taking UI's Massive Open Online Courses. North Park University, located on the north side of Chicago, was founded by the Evangelical Covenant Church in 1891 with the purpose of continuing the educational tradition of the liberal arts under Christian faith. Today, NPU enrolls 3,000 undergraduates, and some 88 percent of its students have either committed to graduate school or found a job waiting for them upon completion of their undergraduate degrees. Class sizes are kept small, with an average 12:1 student-to-faculty ratio, allowing students to receive a more personalized education. Its most popular undergraduate majors are nursing, biology, business/economics, and exercise science. Classes in NPU's online undergraduate and graduate degree programs begin every seven weeks, so students don't have to wait long if they missed enrollment dates. Online degrees offered through the School of Professional Studies include majors in business administration, digital marketing, location intelligence, nonprofit management, and organizational management and leadership. Majors in online graduate studies are offered in business administration, higher education administration, human resource management, nonprofit administration and organizational leadership. The history of the Moody Bible Institute goes back to 1870 when Bible teachers supporting the victims of the Chicago Fire saw the need for a permanent institution. In 1901, members established the Moody Correspondence School for students who could not visit a campus, offering distance learning classes in Bible Doctrine and Practical Christian Work. Today, Moody Distance Learning offers courses that lead to a Certificate, Associate or Bachelor of Science degree; master's degree or graduate certificate; and continuing education post-graduate certification. Distance students can select from three formats: online studies, independent study or first-year online coursework. Online undergraduate programs lead to the Associate of Biblical Studies, Bachelor of Science in Biblical Studies, Bachelor of Science in Ministry Leadership, Bachelor of Science in Theological Studies, Bachelor of Science in Theology and Cultural Engagement, Certificate of Biblical Studies and Certificate of Biblical Leadership. There are no academic admission requirements for students applying for certificates in continuing education. Western Illinois University has been recognized by The Princeton Review as a best Midwestern college. It serves 10,000 students at campuses in Macomb and Moline, offering bachelor's and master's degree programs, two doctoral degrees and certificates. Full-time faculty teach more than 96 percent of all studies, and the university promotes small class sizes with a 14:1 student-to-faculty ratio. Each fall, WIU adds new class offerings for students pursuing online degrees and certificates. Online undergrads can earn an Bachelor of Arts in Anthropology, Bachelor of Business in Economics, Bachelor of Arts in General Studies, Bachelor of Business in Management, Bachelor of Science in Fire Protection Services and Bachelor of Science in Nursing (RN to BSN). Online graduate students can pursue a Master of Business Administration (MBA), Master of Science in Education – Elementary Education or a Master of Science in Instructional Design and Technology. Firefighters can also complete 13 upper division courses in the National Fire Academy's (NFA) curriculum. Chicago State University had its humble beginnings as a teacher training school, operating out of a railroad car in 1867. Today, it has evolved into a comprehensive university, offering 38 undergraduate and 30 graduate degrees through its colleges of business, health sciences, education, arts and sciences, and pharmacy studies. Its online education program features courses that can be completed entirely on the web using the Moodle Learning Management System, which features video streaming, discussion boards and digital class materials. In addition to select courses, CSU offers wholly online graduate programs leading to master's degrees in physical education, in library and information science and in technology and performance improvement studies. MacMurray College, located in Jacksonville, was founded by Methodist clergymen in 1846. While it has grown over time, even now offering online and blended courses, MacMurray still maintains a strong relationship to the Methodist Church. The student body is comprised of undergraduate students and adult learners. Students working within a budget will be happy to hear that financial aid in the form of scholarships and grants is extended to some 95 percent of all students. Through MacOnline, undergraduate students can complete online degrees in criminal justice, business administration and nursing in their accelerated RN to BSN program. Courses in MacMurray's online degree programs are offered in eight-week sessions, which are offered five times each academic year to optimize the program speed and flexibility. Rigorous online composition courses are designed to build the English academic skills necessary to succeed in class and in the world beyond. Distance students can access all course materials and connect with their peers and professors entirely online. University of Illinois at Chicago was founded in the Windy City in the 19th century. In the last 30 years, UIC has grown into one of the top 60 research universities in the country. Currently, UIC's 19,000 undergraduate students can select from 86 bachelor degree programs that feature an 18:1 student-to-faculty ratio. Nearly 8,000 graduate students can choose among 99 master's degrees at the university. For 2017, UIC was ranked eighth by the U.S. News & World Report for offering the best online programs at the bachelor-degree level. Online programs are available in 49 states, the District of Columbia, and Puerto Rico. UIC's online degree and certificate programs are offered in the fields of professional development, education, business, applied health sciences, medicine, pharmacy, nursing, engineering, social work, public health, and liberal arts and sciences. Some majors may require visits to campus or clinical settings. Southern Illinois University-Edwardsville began in 1957 when it opened teaching centers in East St. Louis and Alton, Illinois. The Edwardsville campus is now the main campus of SIUE, home to more than 14,000 students. Undergraduates can earn degrees in education, health, arts and sciences, business, engineering, nursing and human behavior. Students may also enroll in wholly online degree programs at the undergraduate level in nursing, going from RN to BSN, and organizational leadership. Online graduate degrees are offered in criminal justice policy, healthcare informatics, instructional technology, nursing, and physical education and coaching pedagogy. A boon to working health practitioners, SIUE also offers an online post-master's Doctor of Nursing Practice. Founded in 1895 in Charleston, Eastern Illinois University currently enrolls 7,415 students. Students can choose from EIU's 51 undergraduate degrees, 32 graduate programs or 10 post-baccalaureate certificates. The university has graduated 86,000 students, which comes as no shock that the U.S. News & World Report has named EIU the highest-ranking Illinois public regional university. For distance students, EIU offers online degree and certificate programs, all of which charge in-state tuition. Online graduate students can take their pick of 17 online master's degree or professional certificate programs, while online undergraduates can choose from eight undergraduate degree and degree-completion programs. Those hoping to earn an MBA online thought EIU can accomplish their goals in a mere six semesters and can budget accordingly using the tuition schedule. Illinois State University, located in Normal, is home to 20,784 students representing 43 states and 67 countries. Ranked in U.S. News & World Report's top 100 best public national universities, Illinois State University's graduation rate at 68 percent is 23 percent higher than the national average. U.S. News & World Report has also recognized ISU's Mennonite College of Nursing among the best online nursing programs. Students adhering to a budget can receive affordable education at ISU, as it not only awarded $45 million this last year in financial aid, but the university kept tuition rates and fees the same. A range of online classes are also available to undergraduates and graduate students. Founded in 1969, Governors State University is a four-year public university located 40 miles south of Chicago. Its 5,500 students can choose from 64 degree or 24 certificate programs. While the University Park campus station is a walk from Chicago trains, GSU recognized that many students have family or work commitments that kept them from commuting. As a result, GSU now offers fully online bachelor's, master's, and doctoral degrees and certificates. Students who need individual courses or want to take advantage of blended learning can also partake in over 120 online classes each semester. Those seeking financial aid are eligible to apply for federal grants and loans, state and institutional grants and scholarships, and opportunities for tuition waivers or work study. With so many online degrees in Illinois, choosing the best one for you can be daunting. Below, we provide answers to some frequently asked questions and offer a few helpful resources to make your search easier. Do online credits cost more or less in Illinois? Online tuition rates and residency rules differ by school and programs across the state, but online schools generally cost the same as or less than traditional on-campus programs. Some schools charge less for in-state students, while others charge a flat rate no matter where students reside. Our rankings help you compare cost per credit to determine the most affordable online schools. As you do your research, pay attention to in-state and out-of state tuition rates and other fees. For example, Southern Illinois University, a publicly funded, comprehensive four-year institution, charges the same rate for students across the United States. Southeastern Illinois College, like most public community colleges in Illinois, holds relatively inexpensive online tuition rates and offers a discount to students living in neighboring counties. Additionally, a private institution like Aurora University may charge one flat rate for all students. A list of all Illinois colleges and universities that participate in the MHEC tuition reduction program can be found on the SARA website. Which Illinois schools accept the most transfer credits? Each online school determines its own regulations about transfer credits. Most courses completed at a regionally accredited online school will transfer, with a minimum grade of “C”, if the receiving institution offers a similar course. The Higher Learning Commission serves as the regional accreditation body for Illinois and other schools in the north central U.S. Most on-campus and online programs accept up to 60 credits from a two-year school or 60-90 credits from four-year institutions. Many states possess transfer articulation agreements, usually between public community colleges and four-year universities, to facilitate the transfer process and help students select the appropriate courses leading to degree completion. The Illinois Articulation Initiative (IAI) allows students to transfer between 37-41 credits of general education courses to any of its 100 participating schools. Students can visit the IAI website for a complete list of participating public and private colleges and universities in Illinois. Students should also research the transfer policies of their prospective schools. You should not assume that all courses will transfer, as some schools hold stricter requirements than others. College Transfer provides an online tool to check on transfer credit rules for over 1,200 schools in the U.S., including Illinois. Will any online colleges in Illinois accept a GED? The GED, a popular high school equivalency exam, demonstrates high school-level proficiencies in mathematics, science, social science, reading, and writing. According to the GED Testing Service, 97% of U.S. colleges and universities, including online schools, accept the test in place of a high school diploma as a prerequisite for admission. However, each school establishes its own acceptable passing score, so make sure to check the guidelines of your prospective program. Community colleges in Illinois accept students with the minimum passing GED score of 145, regardless of their GPA. Some Illinois schools require applicants to score higher than 145 points. If applicants score between 165 and 174 (the College-Ready score), they usually gain admittance to the college of their choice without a placement test requirement, such as the ACT or SAT. A College-Ready score of 165 or higher also establishes eligibility for scholarships and other forms of financial aid. Students scoring above 200 receive ten college credits. How many academic terms per year do online colleges in Illinois offer? The growing number of online programs in Illinois at the associate, bachelor’s and graduate levels provide students with the option of choosing among many schedules and formats. Most online degree programs feature semester or quarter-based formats, with students enrolling either at the beginning of the academic year or at the start of each term. The majority of online undergraduate programs require four years to complete, and most master’s degrees take about two years to finish. However, several online schools in Illinois offer accelerated programs with flexible start dates throughout the academic year. While a traditional college course usually lasts 16 weeks, an accelerated online program consists of shorter four-, five-, eight-, or 10-week sessions. The fully online for-profit schools, like Walden University and Capella University, offer multiple start dates throughout the year, delivering courses in flexible, asynchronous formats. Several of these fully online schools offer accelerated competency-based programs that allow students to move quickly through courses where they can demonstrate proficiency. Additionally, many of the state’s four-year institutions developed accelerated online options to accommodate the needs of working professionals, busy parents, and others trying to earn a degree within a limited time frame. Concordia University-Chicago features several accelerated bachelor’s and master’s degrees offered in five- or eight-week sessions with flexible start dates. Benedictine University offers two accelerated MBA options and online bachelor’s degrees that can be completed in two years or less. Which online colleges will accept FAFSA in Illinois? Students enrolled in online programs typically receive the same loans, scholarships, and grants as students attending on-campus classes. Every online college and university in Illinois offers students various forms of financial aid, including aid administered through federal assistance programs. As a first step, students planning to enroll in any of the state’s online programs should apply for federal aid by completing the Free Application for Student Aid (FAFSA). Completing the FAFSA determines eligibility for other types of state or college-based aid, including grants, scholarships, and loans. Online students must meet certain requirements to receive federal aid, such as attending an accredited online program recognized by either the Department of Education or the Council on Higher Education Accreditation, and their online school must hold authorization to operate in Illinois. Students must also meet application requirements related to their legal status, age, and educational attainment. Students should visit the Federal Student Aid website to submit their FAFSA and review requirements. They should also contact prospective schools directly to learn more about their financial aid options. Are there any free online classes I can take from Illinois colleges? Students starting to explore distance learning opportunities may not know about the availability of free online college-level courses. Massive open online courses (MOOCs) have partnered with colleges and universities across the U.S. through providers like the nonprofit, open-access edX, or the Coursera online learning platform. Over 800 schools deliver more than 8,000 of these MOOCs in subjects like business, computer science, legal studies, engineering, and art and design. MOOCs typically require 4-6 weeks of study. Although most schools offer MOOCs at no cost, some universities may charge fees for students intending to apply these courses to programs. In Illinois, the University of Chicago offers several online humanities-related MOOCs in partnership with edX. Courses in modern art and design make up the MOOC offerings at the prestigious School of the Art Institute of Chicago. Additionally, Northwestern University offers a MOOC course series through Coursera in its organizational leadership program. Students should check with programs directly for updated information. How can I find the online program options at Illinois’ colleges? Illinois’s strong commitment to educational access embraces the expansion of quality online learning opportunities. The Illinois Online Network, an initiative of the University of Illinois Springfield, offers several resources for educators and students to promote best practices in online learning. Illinois State Board of Higher Education manages enrollment and accessibility for public and private institutions in the state, including online programs. It provides a comprehensive database for students and families with information on college options and tuition costs. It also sponsors the iTransfer website to help students transfer courses between Illinois schools. Illinois Community College Online, a consortium of 31 two-year schools, provides another example of the support for online learning in the state. It hosts a centralized hub for online students to manage registration and financial aid services, access course offerings, and facilitate transcript retrieval. The community college members share resources to improve and expand their online programs and take advantage of professional development opportunities for their faculty and technology staff. Students enrolled in online programs generally qualify for the same financial aid programs as campus-based students. Undergraduate students should begin by investigating their eligibility for federal assistance, especially Pell Grants. Unlike loans, Pell Grants do not have to be repaid. The amount of these grants depends on financial need and cost of attendance. Graduate students or students who may not qualify for need-based federal aid should not overlook scholarships, including those reserved specifically for Illinois residents. The Golden Apple Scholars program awards annual scholarships to high school seniors and first- and second-year undergraduates planning to teach in a high-need Illinois school. Recipients must commit to teaching for five years within seven years of completing their degree. The award requires attendance at a summer residency to gain teaching experience. The Anhelo project supports the educational aspirations of undergraduate or graduate students with undocumented immigration statuses. Recipients must attend an accredited Illinois college or university, hold a minimum 2.5 GPA, and provide documentation of financial need. The award requires a 20-hour volunteer commitment. Full-time students pursuing careers in healthcare may apply for this annual award. Applicants must reside in one of 21 participating Illinois counties and enroll in a curriculum that leads to healthcare employment in fields such as nursing, radiology, and medical technology. Students must also provide evidence of financial need, academic achievement, and life and work experience. The Illinois CPA Society administers several scholarships funded by the CPA Endowment Fund of Illinois for undergraduate and graduate students pursuing a career in accounting. Applicants must be Illinois residents who demonstrate high academic achievement, leadership qualities, and financial need. The society restricts some awards to underrepresented groups and women. Applicants meeting the criteria may apply for multiple scholarships. These scholarships provide support for students planning to pursue teacher certification in Illinois. Program recipients must agree to teach at a nonprofit Illinois public, private, or parochial preschool, elementary school, or secondary school that holds a minimum enrollment of 30% African-American, Hispanic American, Asian-American, or Native American students. Additionally, applicants must identify as African-American, Hispanic American, Asian-American, or Native American.